Knotts Scary Farm 2018 offers superlative scares that leave the Hollywood horror competition screaming for mercy. In case there were any doubt of this, Knotts Scary Farm 2018 proves once again that the original Halloween Haunt reigns supreme. 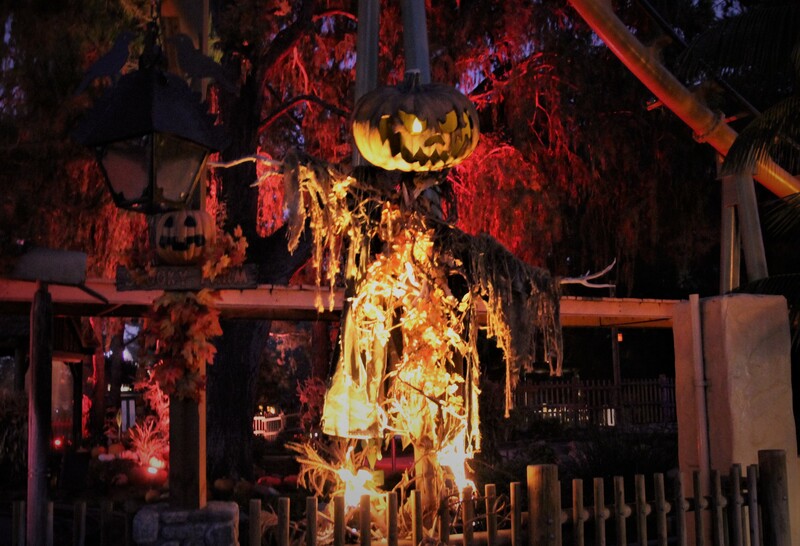 The expressed goal for Knotts Scary Farm 2018 is to spread Halloween throughout the park. Not quite every square inch is haunted - the path by the Pony Express near the Western Entrance is quiet - but almost every corner has a maze, a scare zone, a show, or some other seasonal attraction. 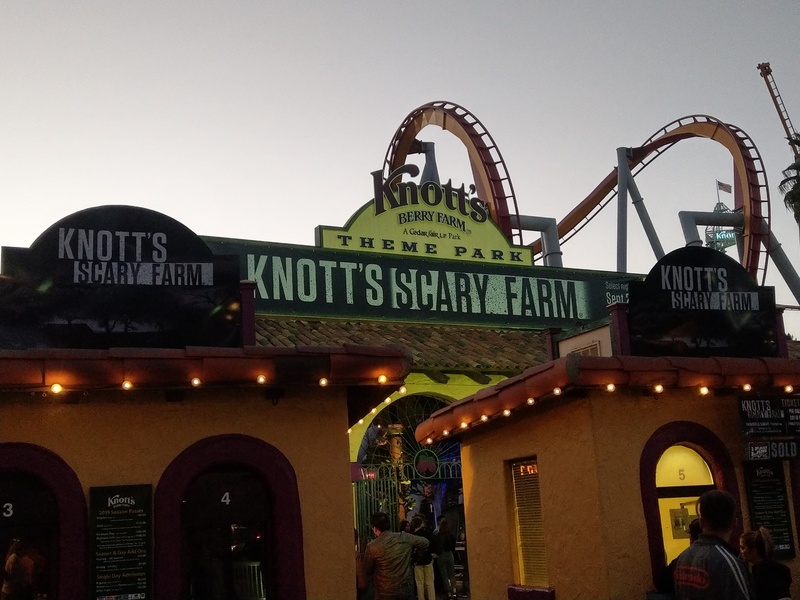 With only two new mazes (The Depths and Dark Entities) and one new scare zone (Forsaken Lake), Knotts Scary Farm 2018 may seem a bit short on original chills and thrills. Most of the new attractions are shows more diverting rather disturbing: "Hacks: Cutting Room Floor" in the Charles M. Schulz Theatre, the "Awaken the Dead" dance party in the Fiesta Village, the "Into the Fog" art show in the Bizarre Bazaar, "Sh...It Happens" at The Hanging, and the Time Zombies VR shoot-out in the arcade (reviewed here). Fortunately, the new mazes are superlative, and the returning mazes deserved to be resurrected. Combined, these old and new features offer a depth and breadth of Halloween horror that is difficult to duplicate. Despite some stylistic and strategic similarities, every maze is different, with distinctive themes and settings; all of them are worth visiting or revisiting. The Depths simulates a descent into caverns beneath a port village. The sets and layout are magnificent, with a wide variety of environments gradually progressing from tunnels filled with demented miners to the remnants of a lost civilization haunted by human-fish mutants. There is a very nice variation on the laser light mist effect, this time waist deep, creating the impression of walking through water. Strange things lurk beneath the surface, sometimes revealing their presence through a raised claw, sometimes lunging upward as you walk past their hiding place. The maze culminates in a spectacular cavern housing a giant, raging octopus with writhing tentacles, and as if that were not enough there is some kind of mutant shark lurking in a tunnel on your way out. Lengthy but not stretched thin, The Depths is filled with frights from beginning to end, worth a second walk through to savor details lost in the panic of the initial encounter. Almost as good is Dark Entities - or perhaps better, if your preference runs toward alien infestation in outer space rather than ancient evil lurking beneath the Earth. Once again, the production design is superb (though a couple of corridors are missing ceilings, which mars the illusion of being aboard a spaceship). Windows and monitors display convincing exterior views from the orbiting ship, while robots and computer voices warn that a dangerous outbreak needs to be contained. As in The Depths, there is solid sense of progression - this time, from bad to worse. The mutants aboard ship grow ever uglier and less human the farther you go, and eventually the overhead announcements give up on containing the outbreak and switch to a self-destruct countdown, creating a gradually escalating sense of inescapable disaster. There are many good creatures in this one, though not always glimpsed clearly in the confusion of trying to navigate through the ship's narrow corridors, some of which have gaps suggesting possible alternate routes as if this really were a maze. "Don't go that way," a dying crew member shouted as we leaned toward one of these false pathways. There is also an impressive "containment" room with what look like laser beams instead of bars, separating us from something we did not want to have a close encounter with. Forsaken Lake is set in beside the artificial lake that lies beneath the twisting trellises of the Silver Bullet rollercoaster - an area sometimes neglected by the Knotts Halloween Haunt. The inhabitants of the lake lurk in the fog and shadows, harassing passersby. Forsaken Lake seems a bit too minimalist for us. There are a few set pieces to suggest that this is indeed a scare zone, but their exact nature is difficult to determine in the dark, which prevents the zone from create a convincing sense of being in a special environment. 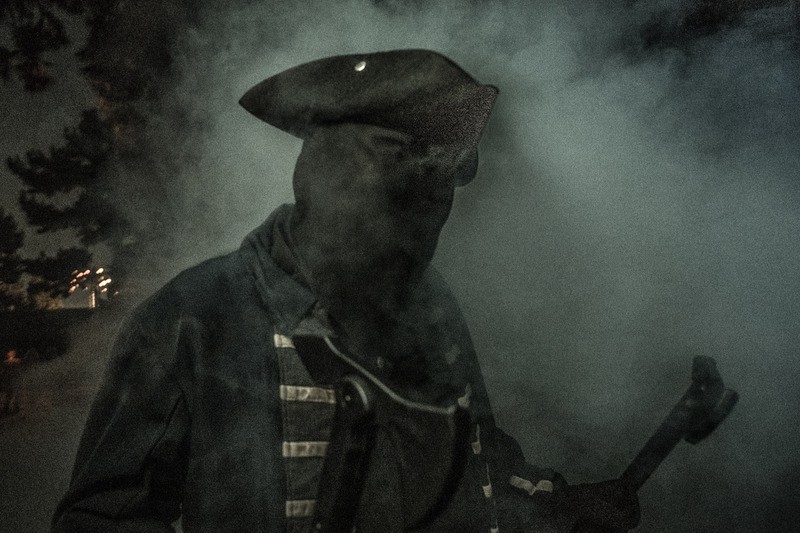 The darkness also obscures the characters, who are indistinguishable from guests as they move through the fog. This has obvious advantages, allowing the watery ghouls to sneak up on victims, but if you are not singled out for attack, you might barely realize there are any ghouls in the area. We kept checking through the viewfinder in our night-vision camera; otherwise, we would have missed half of what was there to see. There is supposed to be a funeral possession at some point during the night. Had we seen that, our estimation of Forsaken Lake would probably be considerably higher; however, we were not fortunate enough to be in the area at the right time. 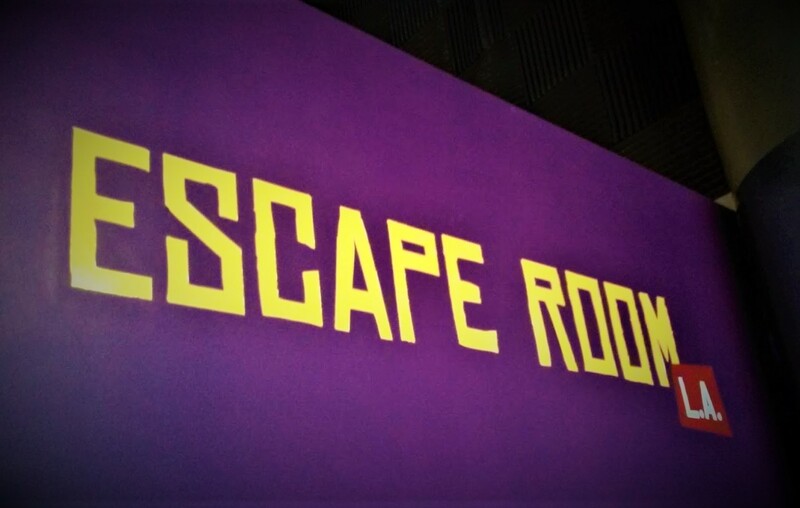 There have been upgrades and enhancements in Knott's Berry Farm's returning mazes, though some may be a little subtle except for the more sharp-eyed haunt-goers. Paranormal, Inc., on the other hand, is different in ways that no one could miss. The introductory scene has been compressed - a wise decision since by now we all know what happens - and there is a new ending that completely upends the game. Paranormal, Inc. has been a favorite of ours since its inception, but it always faced the challenge of living up to the promise of its spectacular opening. The new ending replaces the final descent into the netherworld with a twist rather like the conclusion of the silent black-and-white classic The Cabinet of Dr. Caligari (1922). It's weird and surprising enough to make the ending as memorable as the opening. Alterations aside, we found these returning mazes remain as appealing as ever. Special Ops: Infected is as much fun as ever - I scored thirteen zombie kills! Pumpkin Eater is a great theme expertly realized. It goes on a long while but never outlasts its welcome. Dark Ride is pure genius - an attraction about an attraction! This justifies the artificial fun house feel to the settings and effects, which evoke a Tim Burtonesque flavor. The ending is spectacular. Shadowlands is also clever in its decor. The Japanese theme is realized with walls of rice paper; perfectly suitable for the setting, they allow for shadows and silhouettes to suggest hidden horrors, and they are probably not too expensive. Last year, we thought Trick or Treat: Lights Out was a lazy way of turning the old Trick or Treat into a "new" maze by turning off the lights - how wrong we were! The result is a totally different experience - darker (obviously) and more sinister. Only Red Barn has worn out its welcome for us - we have never fully fallen in love with any of the backwoods crazies themes since Uncle Willy's Slaughterhouse. 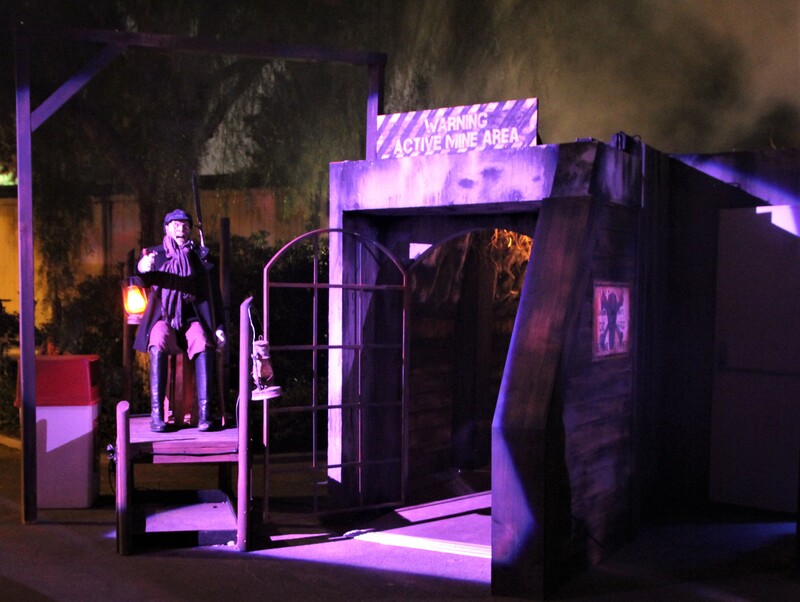 Knotts Scary Farm's returning scare zones maintain the standards we have come to expect. We even enjoy CarnEvil - and we hate clowns! But they work so perfectly in the Boardwalk area of the park we have to set aside our prejudice. Ghost Town Streets it has a reputation to uphold, which it does nicely. The fog is thick, offering a layer of camouflage; when it clears the monsters are suddenly close and all to easy to see. It's nice that the Western decor of the area is put to such good effect, creating a scare zone that fits perfectly in its location. We miss the retired Dia De Los Muertos scare zone in the Fiesta Village area, but we consoled ourselves by visiting the ominous entities in The Hollow. The looks of the characters and set pieces dovetails nicely with the nearby Pumpkin Eater maze, creating a nice sense of thematic continuity without any actual repetition. Long-time readers know our preference for traditional Halloween ambiance, which The Hollow delivers. 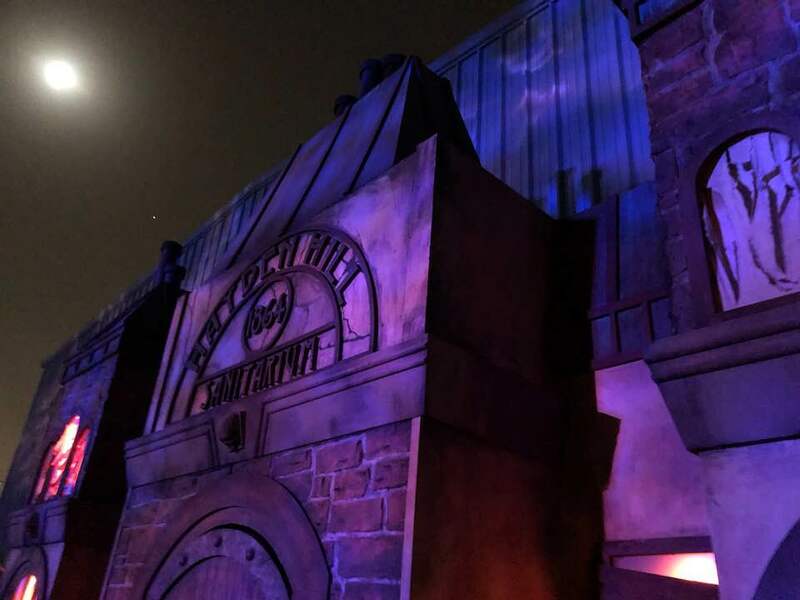 One aspect that may not be clear from a maze-by-maze analysis is that Knotts Scary Farm 2018 is a cohesive whole. 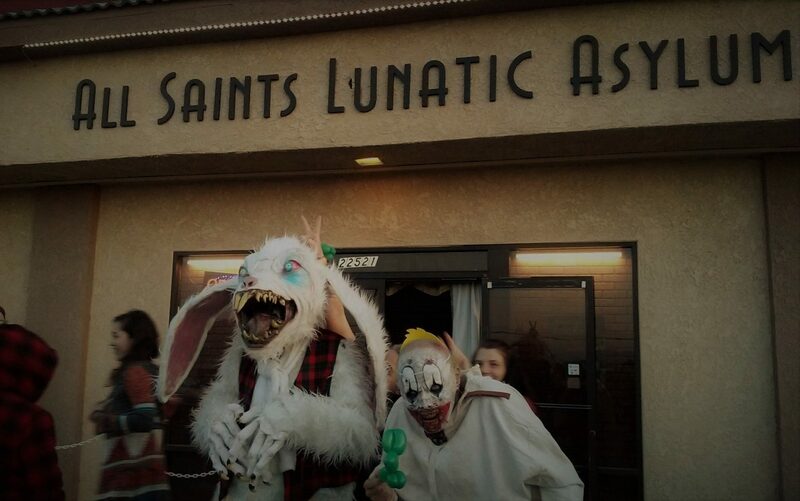 The Spirit of Halloween is apparent instantly upon entering the front gate, and whether you methodically work your way through each attraction or sample them randomly, you will experience a satisfying variety of haunt experiences that add up to more than the sum of their proverbial parts. Just make sure you're fully rested, with fast pass in hand, so you can get to everything and still have time and energy to go back for more. Halloween doesn't get much better than this. Make sure to go fully rested, with fast pass in hand, so that you can see everything and still have time and energy to go back for more. Hallloween Theme Parks don’t get any better than this. Note: We have weighted the ratings toward new or significantly revised attractions by listing those individually. The Halloween Haunt continues at Knott’s Berry Farm on select nights through October 31. The address is 8039 Beach Boulevard, Buena Park 90620. For more information, visit: knotts.com/scaryfarm. 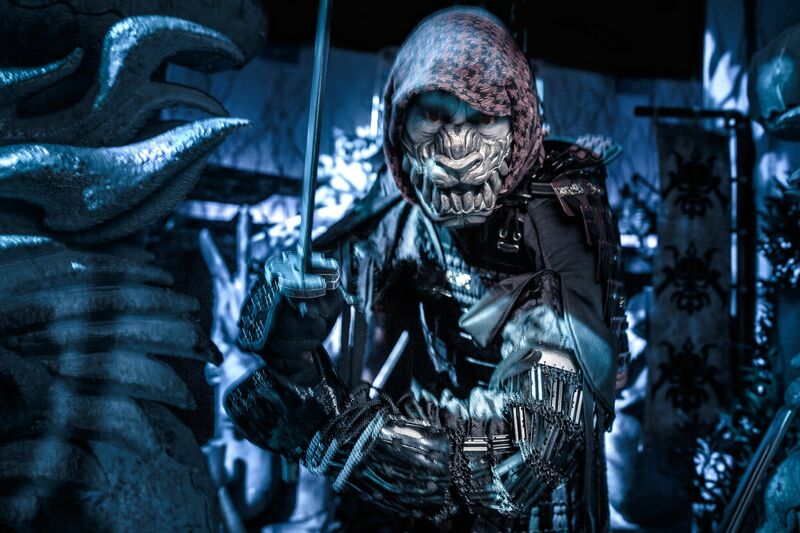 Halloween Horror Nights 2014 opens tonight! Halloween longer than ever! September 19, 2014 Steve Biodrowski Comments Off on Halloween Horror Nights 2014 opens tonight! Halloween longer than ever!